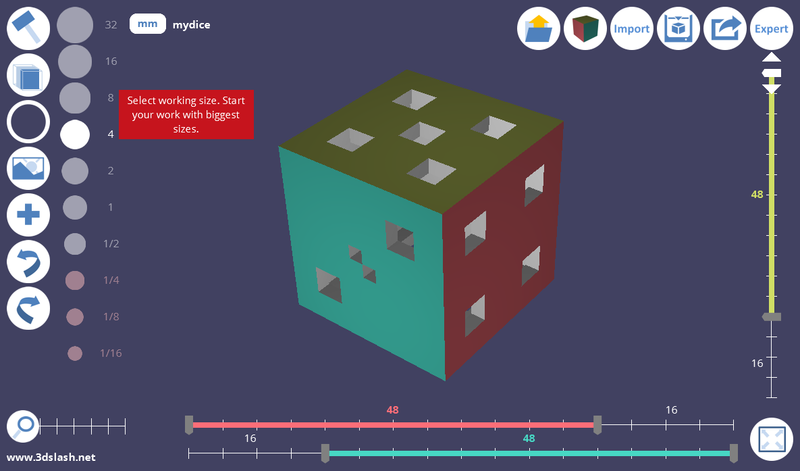 At first, 3D SLASH software will look familiar to many for its similarity with MineCraft. You’re right for it’s DNA comes from construction games and manual labor. That’s why works on 3D SLASH will start with a bloc, like a big stone in which you’ll slash. 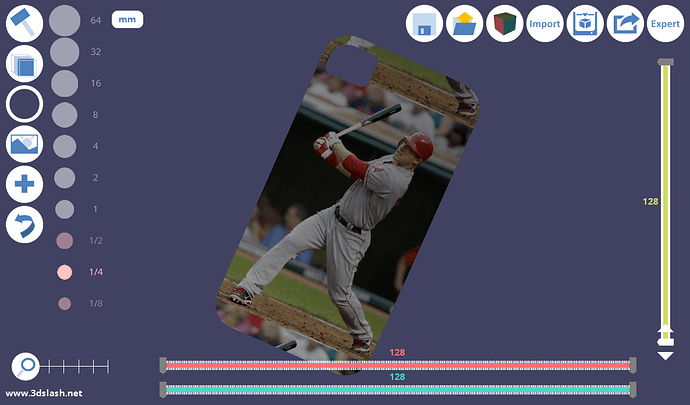 Start a session : Click on « get started », chose the size you want and start modeling! Toolset : right in the same stone-cutter mood. Select tools, change their size, use the « undo » arrow to cancel your latest action. here are 2 tutorials (1’ each) to have a first sight. Expert mode (1) : access complementary advanced tools. Can we do curved shapes with cubes ? YES ! 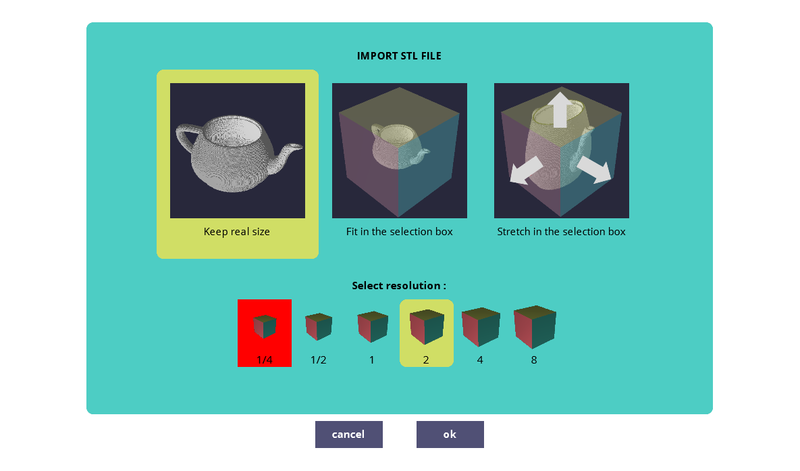 Thanks to its algorithm & languages, 3D SLASH defines the level of details (LOD) and the 3D rendering. It can provide you with 0,4 mm / 0,015 inch accuracy (which is size or regular extrudors). In use-cases, you can also see how to use the cylinder shape to make a hole. So you did your first 3D SLASH head in less than 3 minutes and want now to do your own stuff. Take 5 more minutes and use right tools for the right work_._ It will improve your design and fasten even more your work-session! Cursors : Use them for selecting the zone where you cut. Move inside the cube and carve it, drag to check the size of your design (figures in color for the relative selected zone), select the extra-part you want to get rid of (with the miling machine) or fill it with woodpaste to replace a basement for instance. 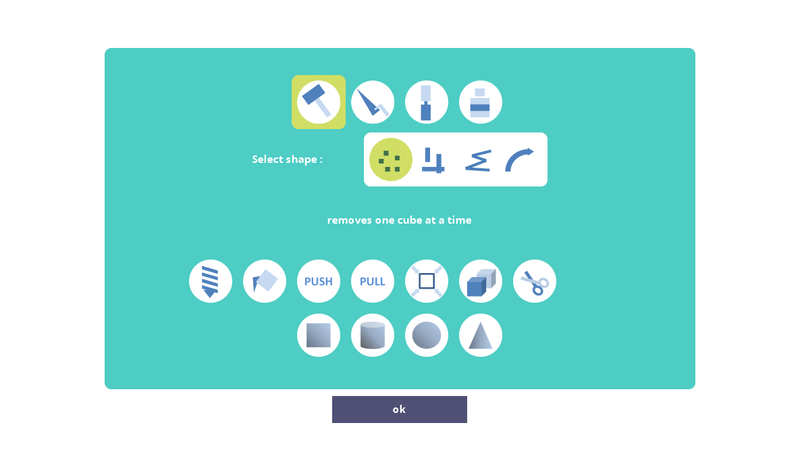 Chisel or jigsaw : Video is worth a thousand words;-) Go to the 2 tuto below (1’ each) to get an idea of how to use tools. Exampes are based on DIY for fixing a shaking table-leg or designing easily a box for your next Arduino or electrical project. STEP 3: FIND WHAT TO MODEL! It sounds a bit silly when we say « imagination is the limit »… somehow, it’s true but if you need a bit of inspiration, here are great 3D SLASH features for tremendous 3D modeling experience. STL import : simply upload any STL file you find on Internet and import it in 1 clic. Easy way to start a shape and customise it. For instance, did you know Marvin could go skiing ? 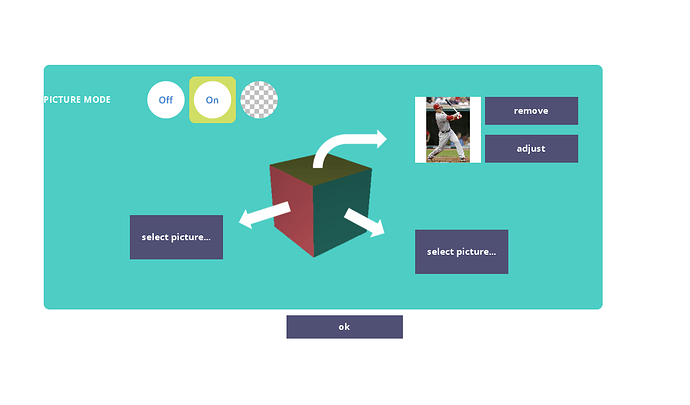 Simply drag-and-drop it in 3D SLASH app, chose the face you want to project it. You can either leave it straight or adjust it with zoom, ligth and position cursors and the help of a grid. You’re ok with your picture settings : start working then! In tutos below, you’ll get this funny car shape on iPhone case or how to shape your tablet leg from its silouhette (1’30 each). At last, there is it. Now you can select the SHARE/EXPORT buton and either get your 3D Slash STL file or select your favorite HUB ! Your basket will be uploaded directly : choose materials, delivery options and you’re done. 3D SLASH : FREE YOUR MAKER POWER & 3D WHATEVER YOU WANT! Feel free to send comments & suggestions ! Sounds super cool, especially for design dummies like me can’t wait to give it a try! It looks really neat! I’m very curious what people will create with it. I will definitely try it myself. Haha, the skying Marvin is too good We’ll definitely give it a try. Thanks for sharing, guys! Looks neat! Thanks for the detailed explanation. 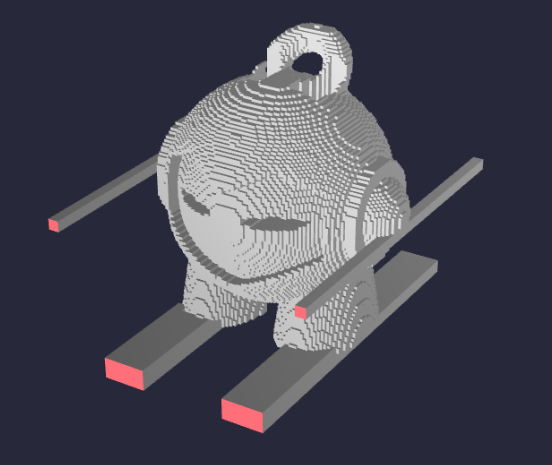 3D Slash: 3D modelisation made easy for all!